WASHINGTON — If you’re looking for a showstopping dessert to add to your holiday spread, consider a soufflé — because nothing says drama like a cake that magically rises from a ramekin and deflates with a single strike of the spoon. 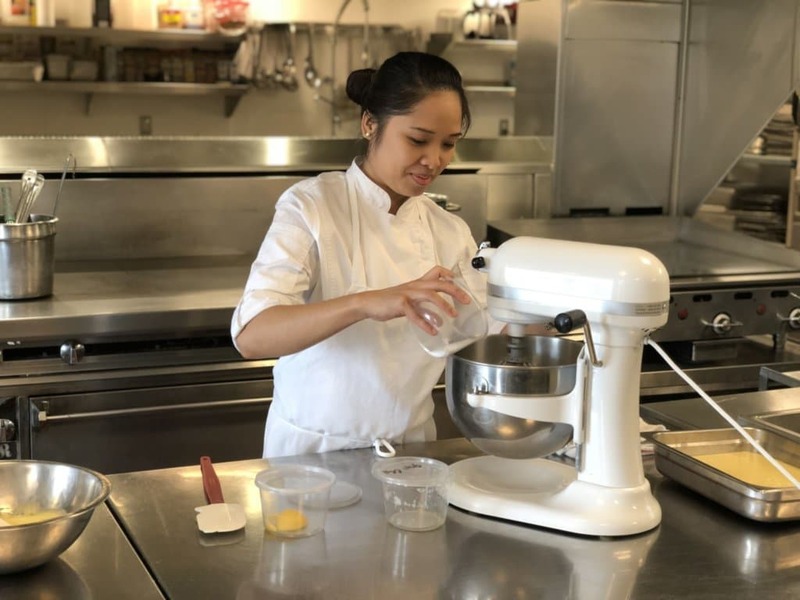 The classic French dish can be prepared as a savory side (Julia Child is known for her cheese soufflé), but at D.C.’s historic Hay-Adams hotel, pastry chef Elenor Frantz showcases the sweeter side of the egg-based dish with her Williams pear soufflé — and she’s sharing her recipe. Before your roll up your sleeves and rise to the occasion, Frantz has a few wise words of advice. First, she said, the key to a successful soufflé lies in the meringue. Once the egg whites reach a medium peak, gently — repeat, gently — fold them into the pastry cream. If you overmix the meringue, you risk letting all the air out and losing a nice rise. Second, to ensure the soufflé shoots up evenly in the oven, Frantz brushes the ramekin with butter in a down-up pattern until the entire interior is greased. Finally, Frantz said don’t be intimidated by an otherwise simple recipe. 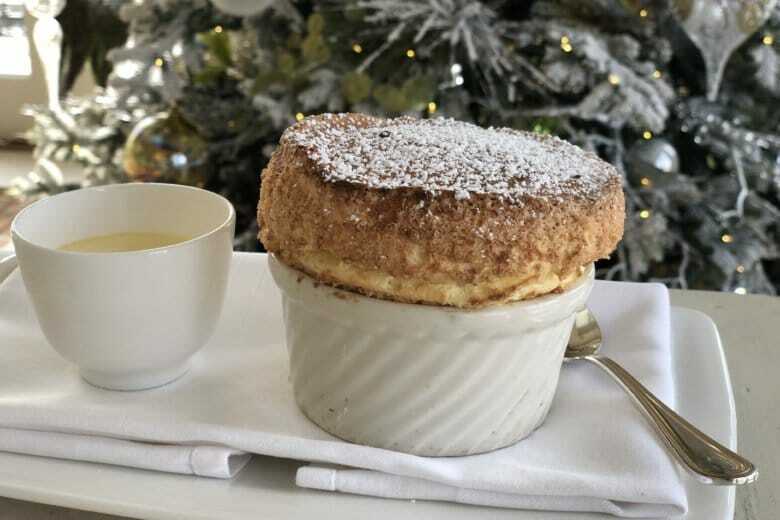 The soufflé’s appeal — its impressive puff — is also what keeps many homecooks from attempting the technique, for fear of a flat and fallen dessert. Frantz said as long as you have a good meringue and keep an eye on the oven, you’ll be fine. And your guests will think you’re a culinary genius. “It’s a wow-factor if you’re trying to impress at home. I think it’s one of the best recipes that you can show off,” Frantz said. Preheat oven to 375 F. Grease four 6-ounce soufflé ramekins with butter and coat with a layer of sugar. In a bowl, mix the sugar, flour, and cornstarch. Separate the eggs and add yolks to dry mixture, mix, and set aside. In a medium pan, place the pear puree, milk and pear brandy and bring to a boil. Pour half the liquid into dry ingredients (in small amounts at first to temper the egg), whisking until smooth, forming a batter. Meanwhile, in a mixer, whisk the egg whites with cream of tartar over low speed until foamy. Increase the speed to medium-high. Continue to beat the egg whites until they reach a medium peak.